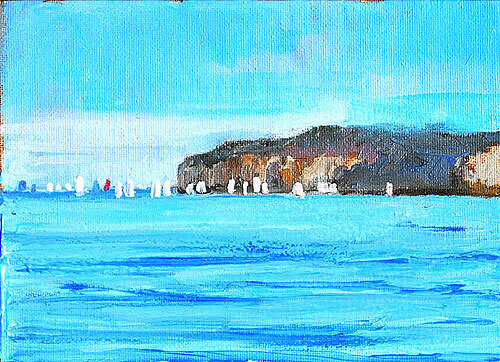 This painting is from the California Art Club paint-out a couple of months ago. November or December, I think. 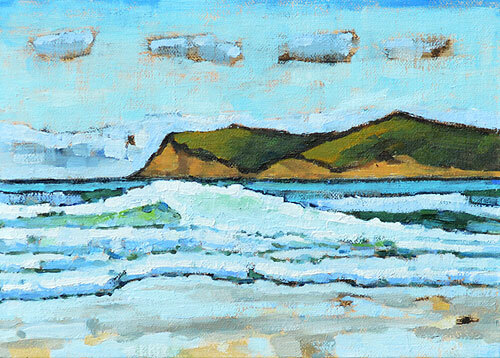 It was a day with huge, hard to believe surf crashing and unbelievable light. 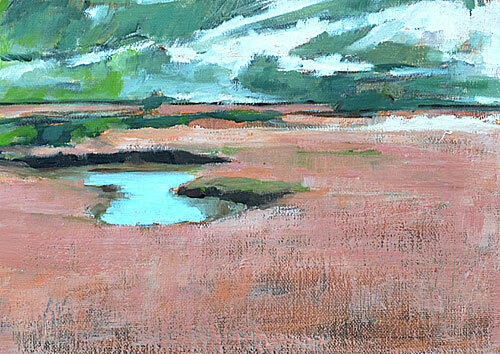 Another plein air painting as the afternoon light began to get soft and quiet on the marshes. 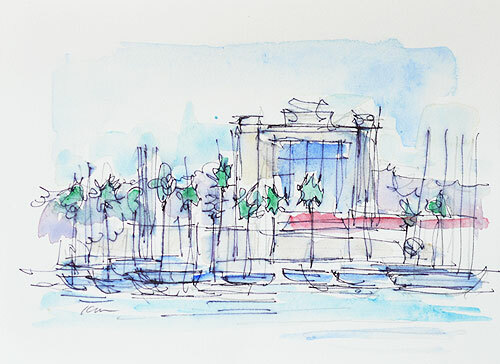 A small plein air watercolor of the Harbor Island Marina. 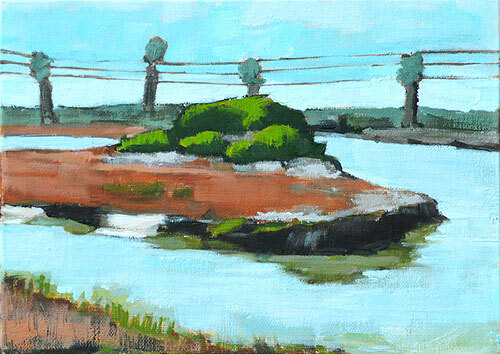 What a pretty, restful place to paint among the boats, the calm water, and the suntanned joggers. 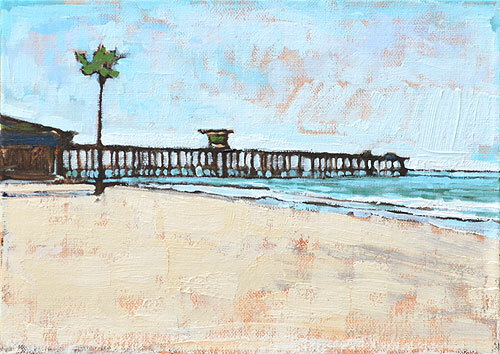 It's a great place to unwind. 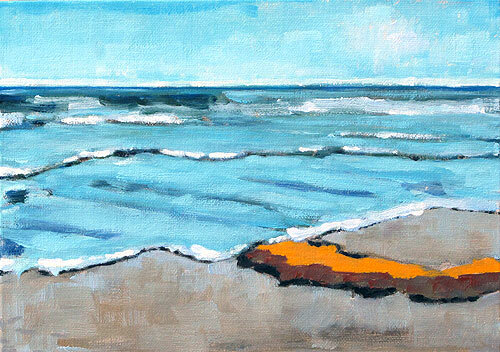 This was one of those bright, bright days where everything went bleached pale. It was very still. 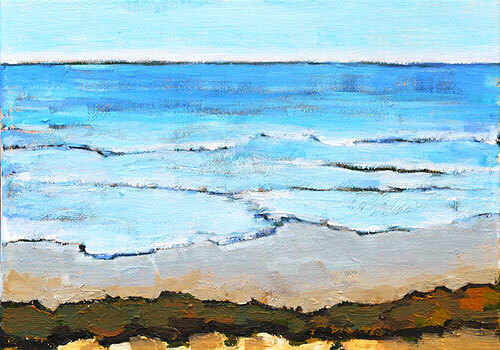 A perfect afternoon at Monarch Beach, in Dana Point, California. 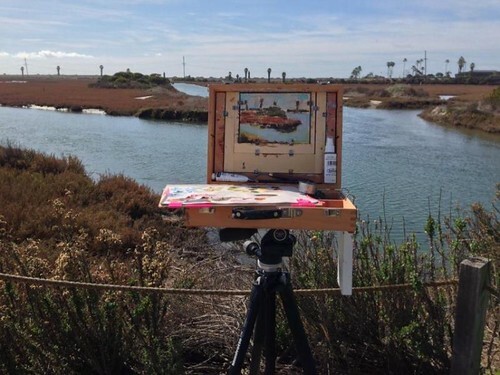 An open air painting of the tidal marshes at the San Elijo Lagoon. It's a really great place. 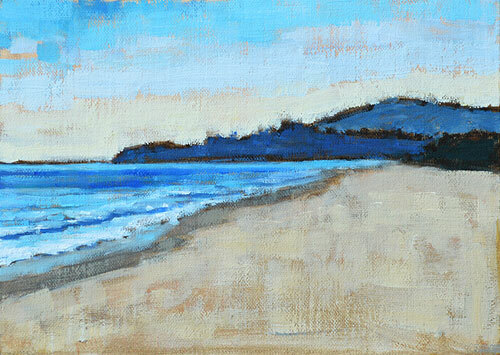 The last painting of the evening, at Monarch Beach in Dana Point. 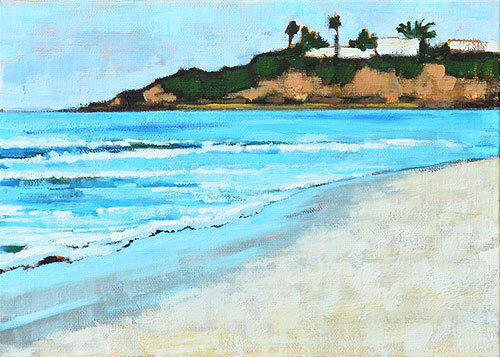 The last painting of the afternoon, on the bluffs at the southern end of Del Mar, with the beach down the cliffs below.